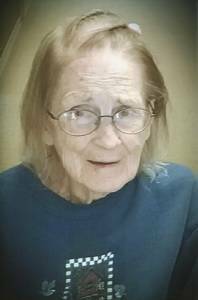 Joan Rockey was born on June 30, 1927 and died on February 27, 2017 at the age of 89 at The Sanctuary at the Park. She was born to Clyde and Alma (Sampson) Haan in Muskegon Michigan. She is survived by her sons, Thomas (Cindy Kops) and Dennis; her only surviving sibling, Alice McClatchy and sister in law, Judy Haan; two grandsons, Brett and Nicholas Rockey; one granddaughter, Alicia Rockey; three great grandsons, one great granddaughter, and one great great grandson. During WWII she worked at her father's service station on Apple Ave. She was married to Glenn E. Rockey in June 1945 in Muskegon. He was killed in a race car accident on September 14, 1959. She remained single until her death. Her oldest son, Michael was killed in action in Vietnam on June 8,1970. Her grandson Glenn was killed in a motorcycle accident on August 12, 2011 during her bout with lymphoma. She suffered a broken hip in Nov 2015 and after surgery was placed at the Sanctuary at the Park and was a resident there until her death. There is to be no service as per her wishes in death. May God Love her and Keep her forever. Thank you to everyone at the Sanctuary at the Park for her care. She will be missed.